Have you ever noticed how Christmas is a really BIG holiday, but Easter, not so much? At least in the U.S.. I know other countries and cultures have some really cool Easter traditions that help them focus on Christ, but here it seems kind of neglected to me. A couple of years back I decided I wanted to figure out how to make our family’s Easter celebration a meaningful experience that helps us focus on the Lord, worship Him, and draw nearer to Him. So we developed a tradition that is kind of like an Easter advent. We start it three weeks before Easter and finish on Easter Sunday. It’s been a really great experience for all of us. The kids like it, and it gives us all an opportunity to focus on the Savior. So this is what we do. 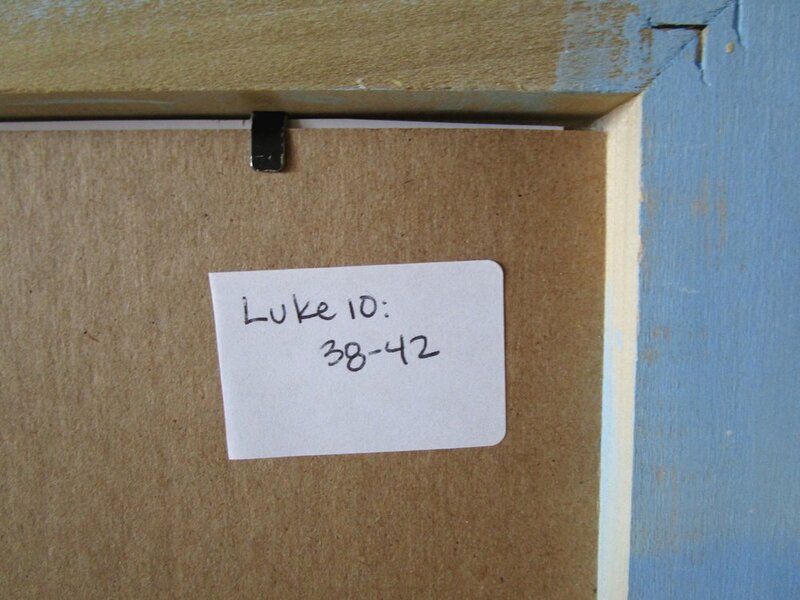 We framed 21 pictures of Jesus, one for each day for three weeks. 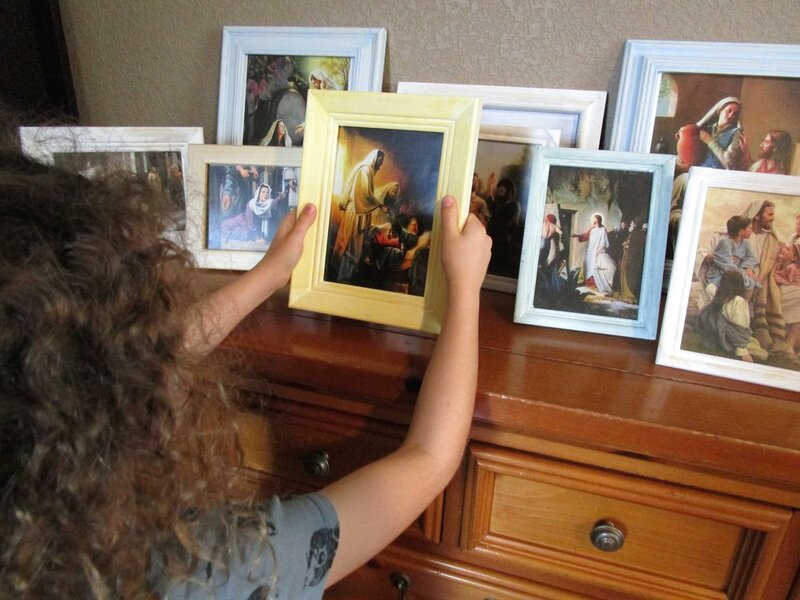 The pictures represent different stories and events from His life - His miracles, the example He set, and His sacrifice. Eight of the pictures represent events from the last week of His life (those are the pictures in the lower photo). On the back of each of these pictures, I have written the scripture reference for the story. Starting three weeks before Easter, each day we take turns choosing one of the pictures and putting them up for display. The person whose turn it is gets to tell the story and why they like it, what it means to them, or why they think it is important, and what the story teaches us about Jesus. Then they put the picture up, and we read the verses that go with the story. 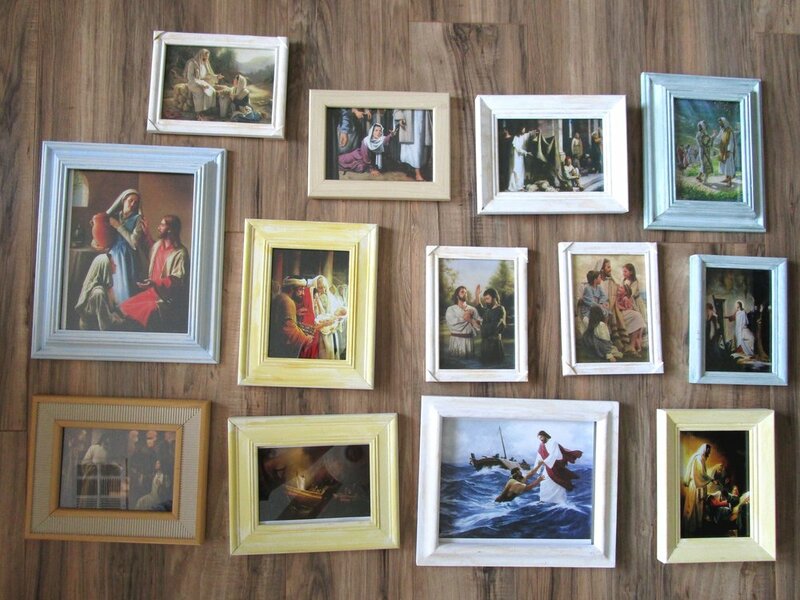 We save the eight pictures from the last week of Christ’s life for the eight days before Easter. We do all of this in place of our regular family scripture study, so it doesn’t really take any extra time. It takes a little effort and time to gather the pictures and frame them, but after that, it’s ready to go year after year! This has been such a nice way for our family to celebrate Easter. It really has helped us focus on the true meaning of the holiday. If doing this for 21 days seems overwhelming to you, I think a condensed version of one week or even a few days would still be really meaningful. You can get lots of free printable pictures of the Savior here. 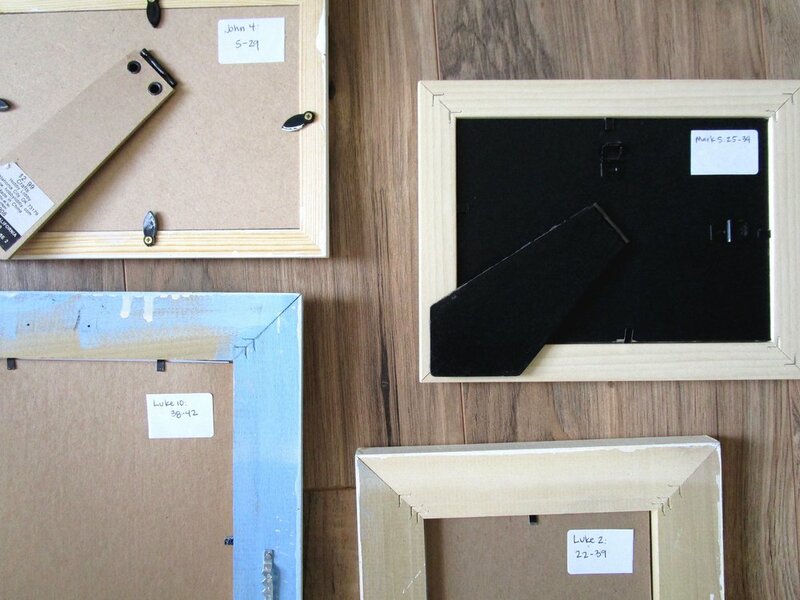 And Goodwill or another local thrift store is a great place to find inexpensive frames.